Too skinny, not explosive, not vocal, but with tremendous potential. These were the various descriptions for Ingram when he entered the League as the 2nd overall pick in 2016. Over his first two seasons Ingram has slowly started his ascension to a promising positionless superstar among the lines of Kevin Durant and Giannis Antetokounmpo. 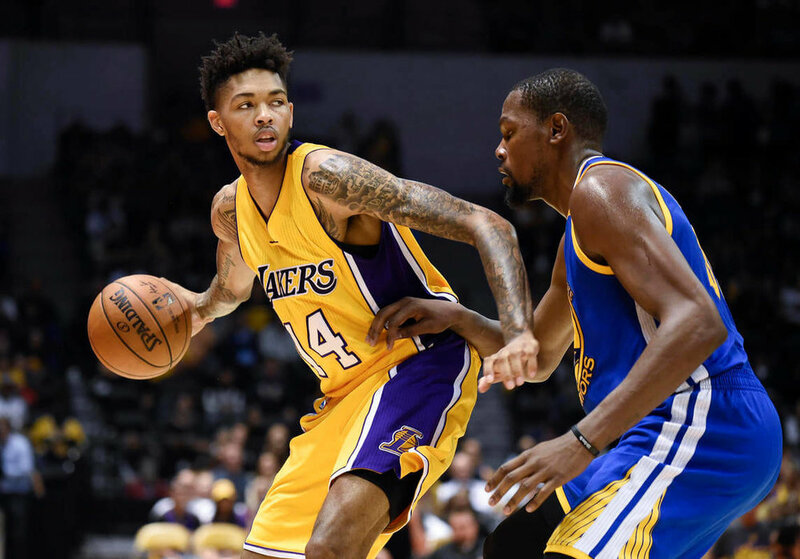 The first glimpse of his future stardom flashed when the Lakers hosted the defending champions, the Golden State Warriors on Nov. 29th, 2017, which showcased Ingram versus his ultimate comparison, Kevin Durant. Surprise to many, the 20 year old Ingram dueled with KD for the entire game, stuffing the box score with 32 points, 5 rebounds, 3 assists, 3 steals, and 2 blocks. Although with a loss in OT due to Curry’s amazing shooting prowess, Ingram’s confidence appeared to be through the roof.Another instance of this exuding confidence was in a matchup in the following preseason against Durant on October 10th, 2018. Again, they battled possession after possession in the 2nd and 3rd quarter. Ingram also managed to get under the skin of KD and was able to foul him out by the 3rd quarter by effectively utilizing his massive 7’3 wingspan, drawing foul after foul. It seems Ingram is finally poised for a breakout season in year 3. He took a massive step forward from his rookie year with a 7 point increase in his PPG, a 7% increase in his field goal percentage and an impressive 10% increase in his three point percentage. He looks to have only one direction, up. We can only speculate how great Ingram will be in his third year, but it seems like the all-star front office of Rob Pelinka and Magic Johnson have made all the right roster moves to help Ingram flourish. The addition of LeBron James and Rajon Rondo, as well as Lonzo Ball returning for his sophomore campaign will greatly increase the amount of open looks Ingram will get this season. Last season it looked as if every opposing team had planned to limit Ingram as a primary scorer, but now with LeBron taking that spotlight, Ingram’s future looks even brighter. This added boost of playmaking to the roster will give him countless more open catch and shoot opportunities and the ability to better himself off the ball in half court sets. Another dimension of Brandon’s game that is showing tremendous improvement is his ability to takeover and close out tight games. One game stands above the rest for this, in a preseason divisional matchup against the Sacramento Kings, this raw talent came to fruition. After a 1st half dominated by Lebron’s 18 points, Ingram went Showtime to finish the game with James sitting out. Ingram continuously torched the Kings defense by hitting contested mid range jumpers and finishing at the rim at will. Within the final 3 minutes of the 4th quarter, Ingram made slight work of the recently signed undrafted rookie Cameron Reynolds and exploded for 31 points, 9 rebounds, 3 assists and 3 steals. This was one of the most impressive take over and closing of a game since the legendary Kobe Bryant. Although Ingram has flashed moments of brilliance, Ingram has room to improve on the defensive end as well as his offensive consistency. Brandon has yet to tap into his full potential, but soon will when he learns how to utilize his unique length to wreak havoc on both sides of the court. If this uprising of Ingram’s multitude of ways to score and affect the game continues at this alarming pace, the league will soon fear the Sleepy Eyed Assassin, Brandon Ingram.